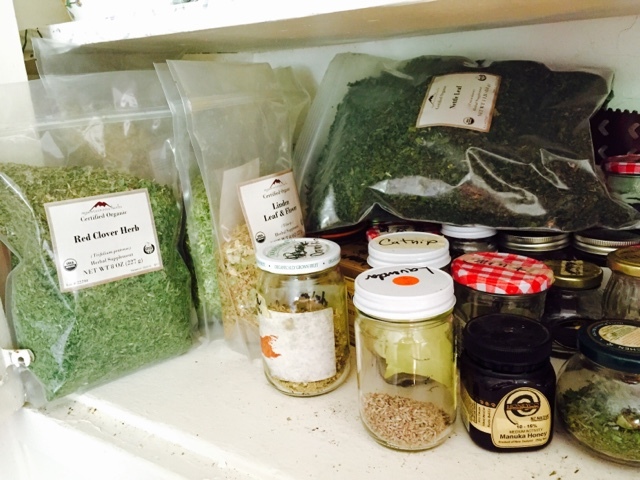 I love my shelf of herbal magic!!!! For the last maybe two years I've gotten into drinking nourishing herbal infusions. It's become my daily health blessing. The weeds that grow in our gardens are dense with nutrition. Sometimes I think of them as concentrated sunlight. Getting certain dried herbs and letting them soak in water for at least 4 hours extracts an immense amount of vitamins and minerals. stronger and healthier version of itself. Nourishing and strengthening my body is so important to my creative process. My body is my primary creative tool. The happier and healthier she is, the better my creative juices can flow. I first started working with dried nettle leaves in the hopes of turning down the stress levels on my adrenal glands. From there I've also started making regular use of infusions of dandelion, comphrey, chickweed, oat straw, linden and more. Instead of trying to further explain things I am still learning I'll offer some articles and videos made by my favorite herbal healing wise woman, Susun Weed. Check out her books, informative ezine and training options.